Kenneth is the author of The Pursuit of Career Actualization: Knowing Where You Are and Getting to Where You Want. Kenneth’s career spans over 2 decades. 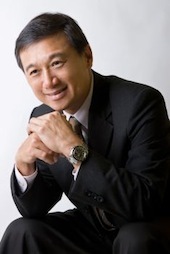 After spending the first half of his career with multinational corporations (MNC) leading the successful development and implementation of Direct Sales, Channel Sales and Human Resource (HR) strategies, he is now the co-owner of a global networked human capital consulting firm that focuses on high level executive search, talent assessment and channels management consulting. With his unique background in sales and marketing, HR and finance, Kenneth was responsible for the development of the current Sales & HR development framework used by his firm. Kenneth is certified in various profiling tools and has conducted Talent Assessment programs for many MNCs across the region. He has also pioneered new concepts on employee motivational models such as the 4Q model. In 2006 he was the only consultant from Asia chosen by one of the world’s leading automotive manufacturer to be trained on their latest HR and management development tools. Kenneth is also a Sales Coach and a Public Speaker on topics like Sales & Marketing, HR Strategy, Talent Management and Channels Management. He is also a Past President of the Rotary Club.